I reckon some images look beautiful because they bamboozle the brain processes we normally depend on to make sense of the world. I don’t know why that can help make patterns and pictures look beautiful. Nor do I think perceptual puzzlement is the essence of art, or anything like that. But just from a practical point of view, if you are an artist (or a composer, poet or architect), a motif that’s puzzling can seem to offer a stepping off point for aesthetic effects. Here are two beautiful examples from architectural decoration, both just about 500 years old. The first is the dome of the Mausoleum of Sultan Qaitbay in Cairo. What’s puzzling about this is that a single line segment can be part of the edge of an object, such as a star, and at the same time part of a line that meanders over the whole surface. Edges don’t behave like that in everyday vision. Here’s the dome with added lines, left below, to show what I mean. Look at the segment that is labeled with both blue and yellow lines. 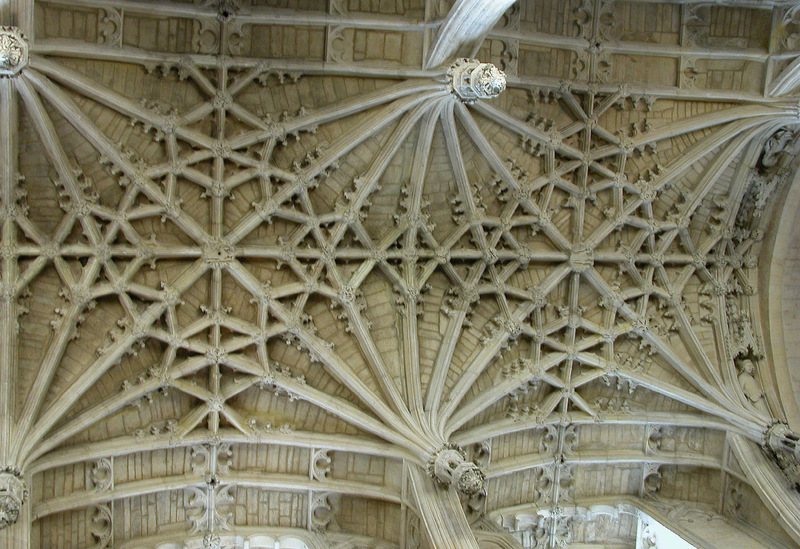 Then note that you can do just the same with the lines that outline the octagons on the ceiling in the picture to the right – every edge is also part of a fan of lines. That ceiling is in Christchurch Cathedral in Oxford, and we even know who designed it – William Orchard, the Master Mason. Now we’d call him the architect. Here’s a picture showing a bit more of the ceiling. I don’t think it’s just the puzzling features that make these patterns so beautiful. Interlace patterns like these look like small segments of patterns that go on for ever, and in both Christianity and Islam were a metaphor for perfection and heaven. And that’s how I reckon artists turn perceptually puzzling effects into something more than amusing images – they choose motifs that are also metaphors for some deeper meaning. You may be more familiar with interlace as a technology for managing video images. For interlace as a pattern motif in christian art, see the Wikipedia article on Celtic Knots. 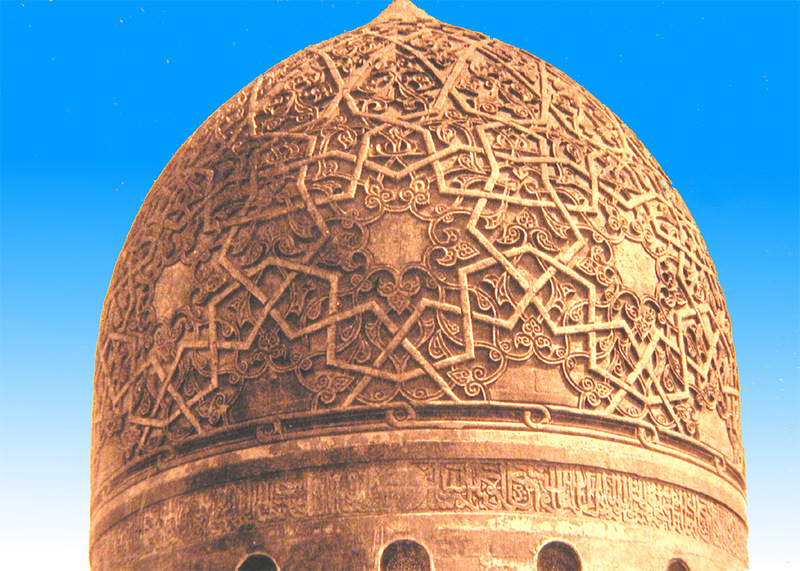 Or try here to find out about interlace patterning in the context of islamic faith.